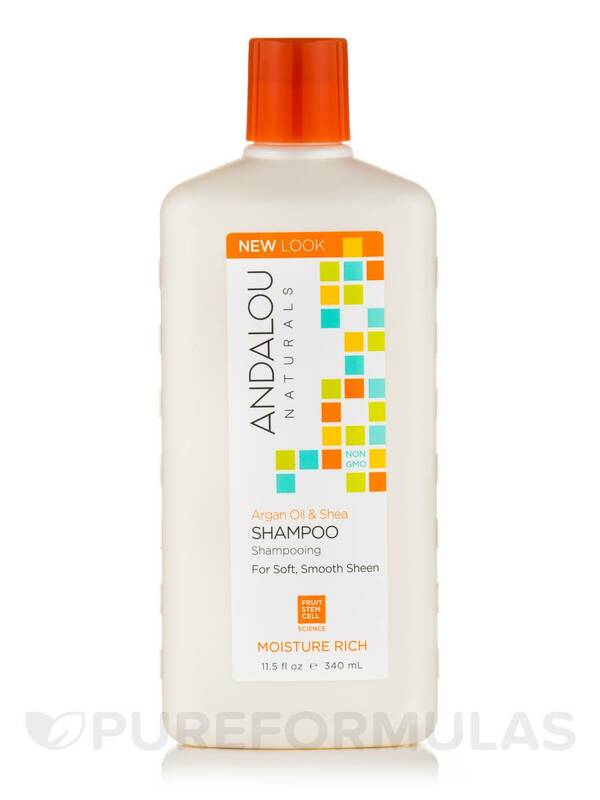 Argan and Sweet Orange Shampoo by Andalou Naturals has a pleasant smell and leaves the hair very soft. I love the smell of Argan and Sweet Orange Shampoo by Andalou Naturals and the way my hair feels after I wash it. 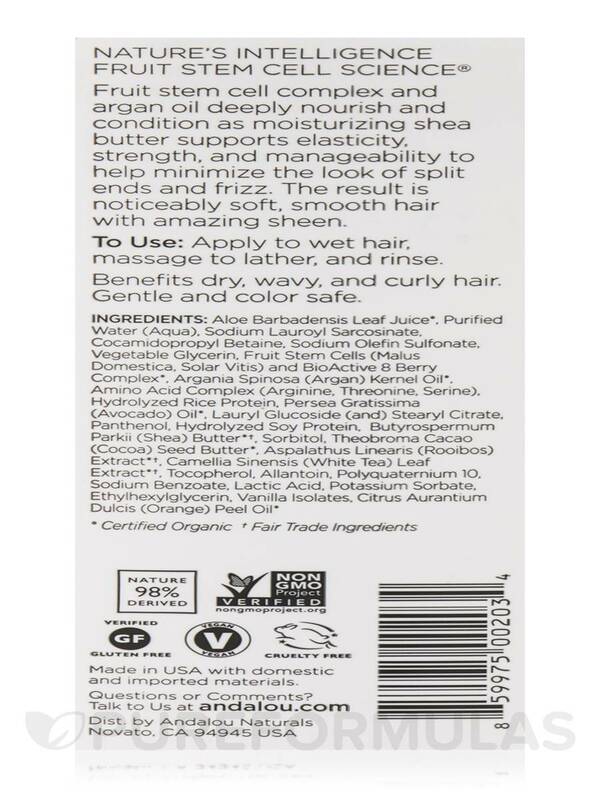 NICE, I love the Argan and Sweet Orange Shampoo by Andalou Naturals is really good for my hair! I love the smell too! Argan and Sweet Orange Shampoo 11.5 fl. Oz from Andalou Naturals improves hair vitality from root to tip. Andalou Naturals Fruit Stem Cell science may help revitalize each follicle and improves hair growth naturally‚ without harsh chemicals. This shampoo from Andalou Naturals contains Argan oil that penetrates deep into the hair follicles and strengthens each strand. Many researchers believe that Argan oil is very effective at exfoliating the scalp. It helps unclog each hair follicle of excess sebum‚ pollutants and other debris. Argan oil is generally used to help with underlying scalp conditions. 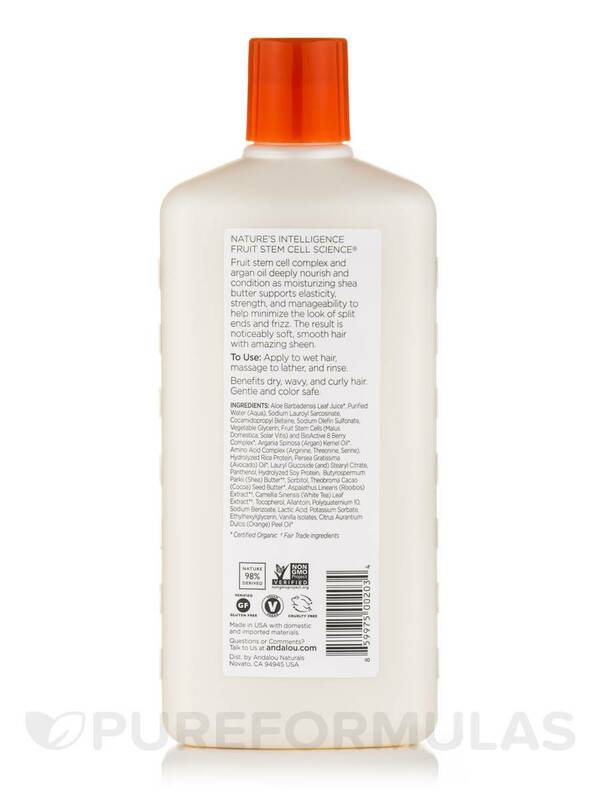 Sweet orange extracts present in this Andalou Naturals shampoo is usually attributed to its anti-inflammatory and antiseptic properties. Apart from this sweet orange generally revitalizes hair follicles and improves circulation. By inhibiting microbial growth the sweet orange extracts present in this Andalou Naturals shampoo may help with dandruff and other scalp conditions. This shampoo contains Aloe Barbadensis‚ which is widely used in shampoos to repair dull and dry hair along with the scalp. Oils like Jojoba may help in strengthening the hair shafts. Rose hip oils present in this shampoo helps nourish dry and dull hair. Avocado oil may also help in smoothening and contains antibacterial properties. Argan and Sweet Orange Shampoo 11.5 fl. Oz from Andalou Naturals contains other natural ingredients that your hair will simply love. Non-GMO Project Verified / Cruelty-Free / Vegan / Vegetarian / Gluten-Free. Apply to wet hair‚ massage to lather‚ and rinse. This Argan Oil & Shea Moisture Rich Shampoo by Andalou Naturals smells so nice and makes my hair feel so good! I certainly will buy this again! I love all of the Andalou Naturals shampoos and conditioners, but I love the scent of the orange. Argan Oil & Shea Moisture Rich Shampoo by Andalou Naturals has a nice consistency and keeps my hair shiny and moisturized. Would highly recommend! Excellent Product at an Excellent Price! The smell of Argan Oil & Shea Moisture Rich Shampoo by Andalou Naturals is intoxicating and the products leaves your hair soft and clean. Best of all, I don't need to spend extra money on using any conditioner. The smell, the quality, the price. Argan Oil & Shea Moisture Rich Shampoo by Andalou Naturals makes your hair extra shiny, smells phenomenal, no artificial fragrance, and totally affordable. The shine, the smells, the price. It's a total Win! Love Argan Oil & Shea Moisture Rish Shampoo by Andalou Naturals! It leaves my hair silky and shiny and moisturizers the dryness. I love the fresh, clean scent too. Results, price and no chemicals! Argan and Sweet Orange Shampoo by Andaluo Naturals has a very nice scent derived from natural sources that is fresh and light. It also left my hair soft, silky and shiny without flattening the natural body and wave. I think it's my favorite shampoo so far. I had been washing my hair with castile soap, because so many shampoos have ingredients I didn't want entering my body. But the soap really dried out my hair! I was looking to switch back to a natural shampoo that I could have confidence in and would restore health to my hair. Argan and Sweet Orange Shampoo by Andalou Naturals did just the trick. It made my hair soft again, and it has a really lovely scent. I would order this again in a heartbeat - and am now! Overall, I think Argan and Sweet Orange Shampoo by Andalou Naturals is as good as any other 'normal' shampoo. This one has a 1 rating on EWG (this is why I ordered it), and it smells amazing! It is a pretty small bottle, but I have shoulder length hair and 1 bottle lasted me 3 months of washing my hair every other day. I, also, probably use more than I should since this shampoo is pretty runny in your hand and doesn't sud as much as normal shampoo. Of course this shampoo doesn't work miracles on your hair and make it look like the ladies in the shampoo commercials, but does any shampoo really do that? Natural, smells great, and is non-toxic. Pretty runny so you end up needing a good bit to wash your hair.